While the ink is currently being laid onto the fresh pages of the new issue of Singletrack Magazine, we thought we’d give you a behind-the-scenes look at some of the product reviews you can expect in Issue #110. And if this whets your appetite, the good news is that you’ve still got time to pre-order your copy of the magazine, which you can have in either digital or print form. Maybe you could pre-order one as a Christmas pressie for a riding mate? Alternatively, we’ve also got a whole stack of awesome Christmas present ideas available in the Singletrack online emporium, so check them out if you’re wracking your brains for that hard to buy family member! Box Components is placing its hopes on the Box One 1×11 derailleur and shifter. But is it up to par? 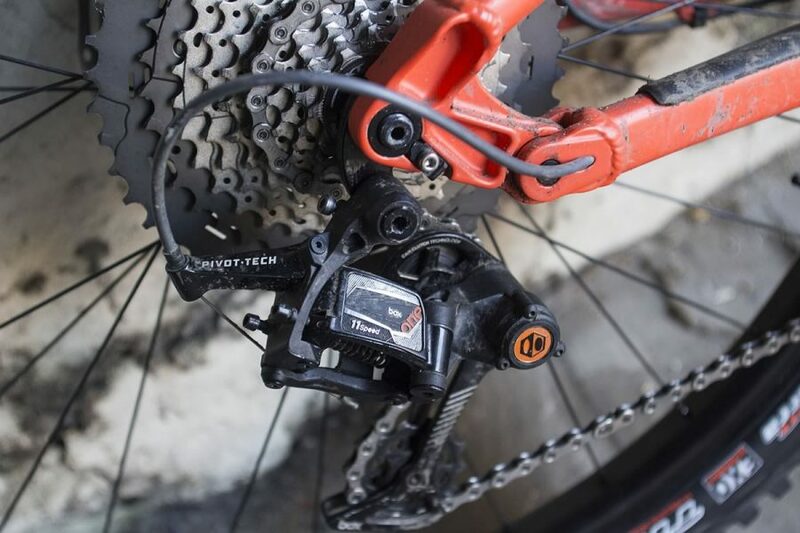 In the Grinder section of Issue #110 of Singletrack Magazine, we’ve got the innovative new Box One 1×11 shifter and derailleur from Box Components on test. We first laid hands on the Box Components 1×11 drivetrain at Eurobike, and shortly afterwards, we received some pre-production samples to test on behalf of Box. As you’ll see in the above video, the Box One PushPush shifter has a unique action to upshift via its single paddle. It’s a clever design that works well. Being pre-production items, things weren’t quite 100% with our test units however, and there are some areas of the Box One 1×11 drivetrain that we do think require improvement before we could recommend them to fellow riders. Check out the review for the full rundown. Going up! 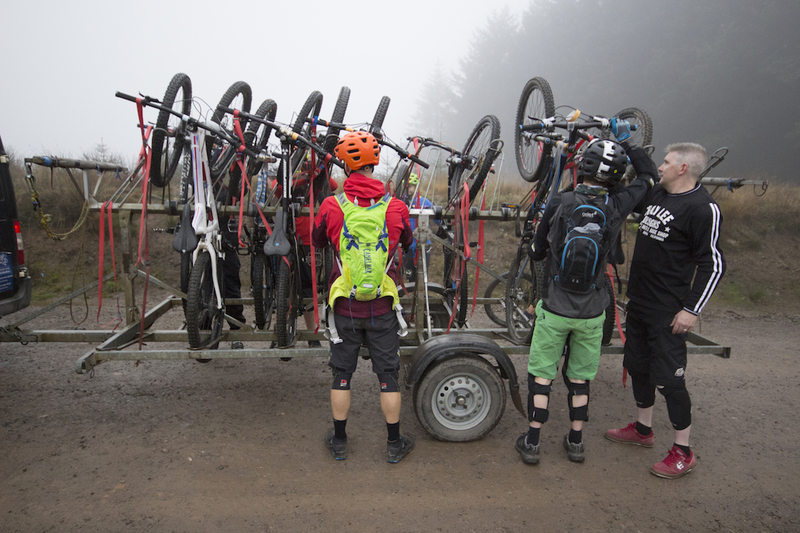 Mechanical assistance at Bikepark Wales courtesy of an uplift shuttle. The group test for Issue #110 features a trail fork shootout. We picked seven trail forks with 130-140mm of travel, and took the Singletrack Van to Bikepark Wales for some intensive testing. 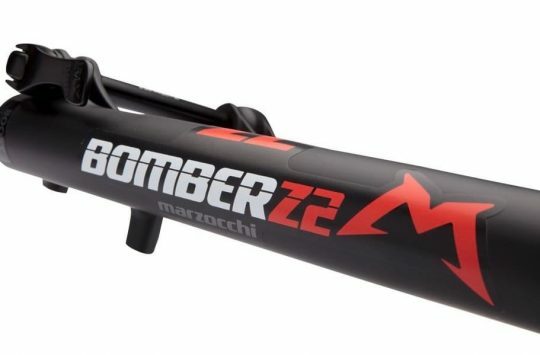 Modern suspension forks are getting better and better, and the seven forks that we’ve got on test certainly prove that point. After finishing off our Bikepark Wales test sessions, we returned home to continue riding each fork on a range of local trails to see how they fared. While a couple of forks earned our ‘Singletrack Recommended’ tag, it wasn’t all smooth sailing. 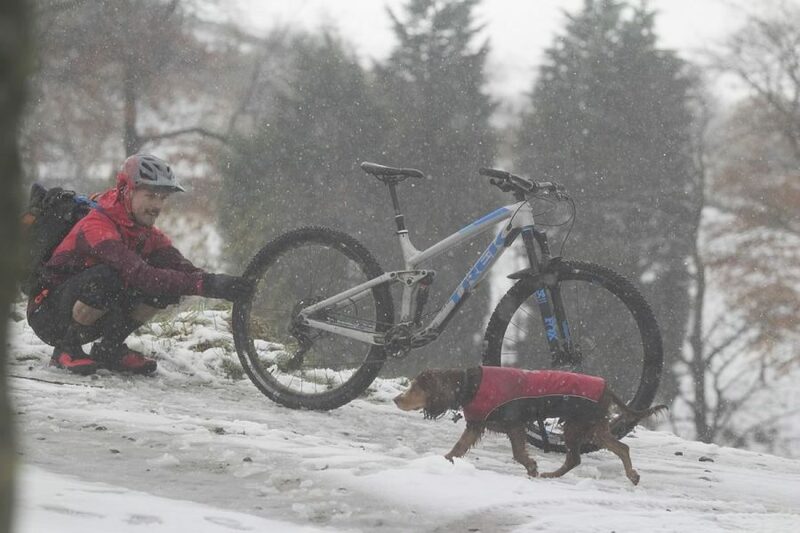 Wil loves matching his riding kit with local trail dogs. For the bike test in Issue #110 of Singletrack Magazine, we picked three trail bikes from some of the biggest brands in the industry. 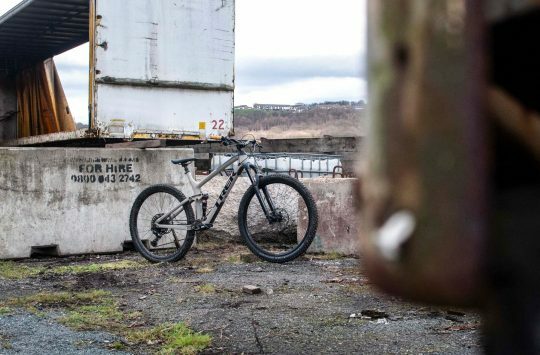 There’s a Giant Anthem 1, a Specialized Camber Comp Carbon, and a Trek Fuel EX 9 29 – three of the most popular full suspension mountain bikes both in the UK and around the world. Whilst these three bikes are all within 10-20mm of travel of each other, as we found out, they all rode very differently on the trail. 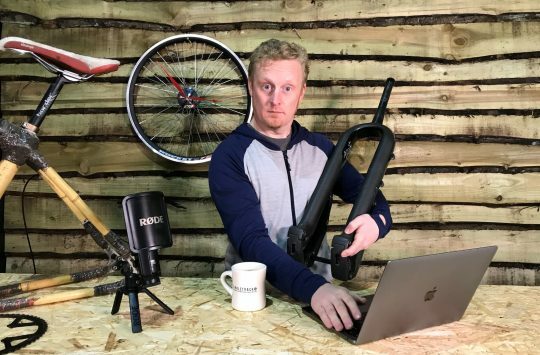 You can check out the full bike test feature in Issue #110, and if you decide to get a digital copy of Singletrack Magazine, you’ll also be able to watch our video reviews of each bike too. We think you’ll love the new issue, and hope you all enjoy reading as much as we’ve enjoyed putting it together! Love what we do and want to support Singletrack? Then why not become a subscriber? You can subscribe from as little as £1.49 a month, which is way less than having to pay for phone line rental. And who uses a landline these days anyway?